Jim Jack in the North Cascades: \"I always really enjoyed jumping off things.\"
UPDATE: Three days after we published this story on legendary Washington freeskier Jim Jack, it was reported that he had died in an avalanche while skiing the back side of Stevens Pass. Our hearts go out to his friends and family. 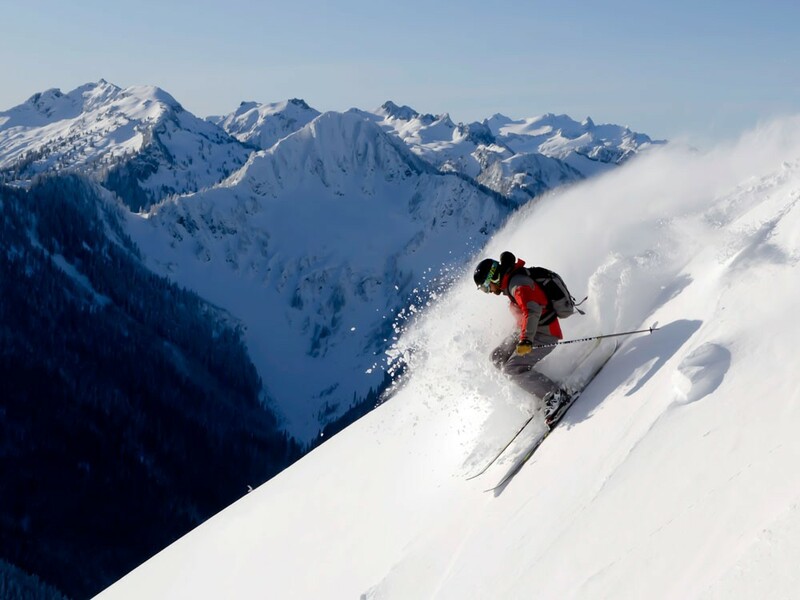 Jim Jack skis all over the world yet happily calls the mountains of the Northwest home. He still remembers his first days on skis at Ski Acres on Snoqualmie Pass; the challenge wasn’t so much descending the slope as figuring out how to ride the rope tow up. By third grade, he was riding the ski bus from Redmond to Alpental; a family move from the outskirts of Seattle to the Tacoma area involved a switch to Crystal Mountain. As the youngest of three, Jim Jack always wanted to do what his older siblings were doing. When his brother became a ski instructor at Mount Baker, Jack would drive up there every weekend. It was just a matter of time before circumstance would have him entering the ski industry. When Jack entered college in the fall of ’84, his buddy encouraged him to try out for ski patrol at Snoqualmie. He did and got on to their patrol — his first job in the industry. His path through Central Washington University earned him a degree in business management. After graduation, he headed to New Zealand with a work visa. Back in the States, he worked at Alpental, but then, “I felt Utah was the best place, and there were opportunities there working at the base of Alta. This kicked off 10 seasons that changed and shaped my life. That’s when he started working with legendary ski photographer Lee Cohen. This partnership would land Jack in ski publications and gained him recognition as a professional freeskier. From there, he balanced his time between competing in extreme skiing events and doing photo work at Alta. By 1997, he knew it was time to start competing again, after taking four seasons off. His tour circuit would bring him to British Columbia’s Red Mountain, which continues to hold a special place in his heart. “It’s steep, has a great fall line, and the area breeds some very passionate skiers.” Since 2001, he has competed at Red and been involved as a judge for the Freeride World Tour event there. He was ranked in the top 15 for a number of the years he competed, but his direction would all change in 2003 after an injury. He was asked to judge a few events while recovering. Seeing the value in his experience and expertise, the Tour asked Jack to be the head judge the next season. As head judge, he’s responsible for finding other qualified judges, usually past competitors and big-name ski heroes. Since there are tour stops all over the world, the job keeps Jack pretty busy. Currently, he’s laying the groundwork to combine the Freeride World Tour and the European Tour together for one unified tour. His role will be large in developing new changes to the judging criteria and the format as the unification comes together. Since Jim Jack knows it can’t be winter all year long, he spends his summer supporting his winter lifestyle. He chose to live in Leavenworth after college, as he had spent summers there throughout his early years. Even when he was wintering in Utah, he would still return home to work in the woods. In 1997 he started his own forest-and-fuels- management business, Wildland Home Protection. But it’s not all business in the summer. His fun is had by water skiing and paddle boarding the many lakes and rivers of the Northwest — he just can’t slow down. Wow! What a year it’s been so far. Winter is still far from over, with a little under two months of the season to go. This is the best time of year for Inland Northwest ski resorts, with late-season storms traditionally bringing lots of powder, a full event schedule and legs that can handle a full day on the slopes and a couple of hours dancing at aprs ski. 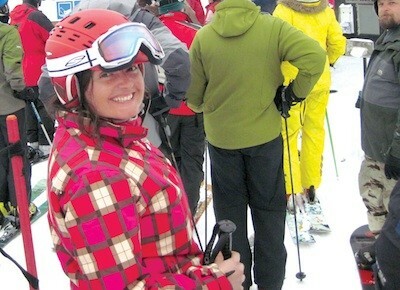 As I write this, I am in the 60-day range for the number of days I’ve skied so far this season. Ski adventures have taken me all over the Northwest, and while the pavement is dry down low, the skiing is superb up high. This is the last issue of Snowlander for this season. I’m already looking forward to next October’s issue! I hope you enjoyed it as much as I did. Since we all know there is a lot more season left, please take the time to “Like” our Facebook fan page (www.facebook.com/SnowlanderNW) to keep informed about upcoming events, giveaways and contests. We’re emptying out our schwag bag, so you might win something cool lift tickets, goggles, T-shirts.